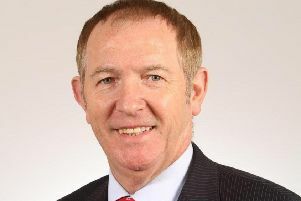 While Brexit may have dominated the headlines this week, Bassetlaw councillors have been busy planning for the future growth and success of the district, writes Coun Simon Greaves. Firstly, there was the launch the consultation period for the draft local plan, which sets out the council’s priorities for housing, regeneration and other development in the district up to the year 2035. Just some of the proposals of this ‘Bassetlaw plan’ include a total of 6,630 homes need to be built, a total of 136 hectares of land should be used for future employment and economic development and two new garden villages could be created, all by 2035. The plan is fundamental to the growth and success of Bassetlaw and will shape the district for a generation. And that’s why it is vital that people have their say. I would encourage all Bassetlaw residents to attend one of the 21 public consultation events where you can speak to the planning policy officers who have created the plan, see what it contains, ask questions and be part of the conversation. You can find details of all the events on the council’s website, along with the plan and the consultation. Finally, it was announced this week that Matthew Hopkinson, a co-author of the 2013 and 2018 Grimsey Reviews into Britain’s high streets, has been working with the council on a new strategy that will seek to turn around the fortunes of Worksop. This new Worksop Town Commission will bring together businesses, employers, transport providers, landlords and retailers to work on a long-term strategy to increase Worksop’s retail, entertainment and experience offers and make it a town that people want to visit. Worksop used to be a vibrant town and there is no doubt that it can be again. This is a long-term project though and there might be some hard choices ahead because people want different things from their towns today than they did 20 years ago.